WordPress Tag Plugins let users assign the category tags on wiki pages. They also help in organizing the content on the website. They also turn uninteresting tag list into a magical input which turns every tag into an amazing object. The plugin also handles the data and provides a list of tags. This tag plugin is considered as the best and perfect tool in managing the WP terms related for taxonomy. Also, this comes with the philosophy of more secured and better performance that provides a lot of functions. This is developed and administered along the features of tags suggestion, tags management, edit feature, auto tags, click tags, input tags and easy configuration. This tag plugin helps users to combine all of the repeated tags in just a single tag name. Using this plugin helps users to add more of the repeated tags in just a single group name. They are also allowed to add for five customizable group tags and name. They can also choose for the ideal group name in the section that allows adding new post. Once the post is published, the tags in the group name are added on the tag section. This tag plug-in allows users to create geo-maps and metatags and geo-post tags for pages and posts. They can also make use of a geo picker that comes with an auto-locating functionality that helps enter locations. Apart from it, geotagged location can be displayed in a map, within or after the post. Adding geo-metatags on pages and posts; adding geo-post tags on posts; adding geo-feed tags on newsfeeds; adding geo-micro formats on pages and posts and adding map which have geotagged location on pages and posts are made possible. The browser makes it possible to detect the position automatically (FF4+ API and IE9+. 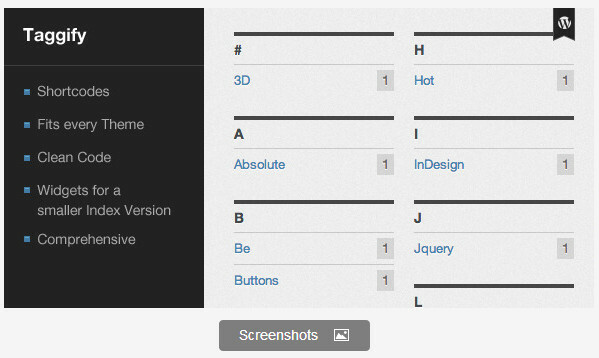 It also supports micro formats, feed tags, post tags and meta tags. This plugin makes it possible to integrate Semantria and generate customized taxonomies. Actually, this is a simple plugin that permits users to connect on the API account of Semantria on WordPress. Taxonomies are customized and tags are generated for the posts. With the best free WordPress Tag Plugins, you need to get one that meets your requirements and needs!